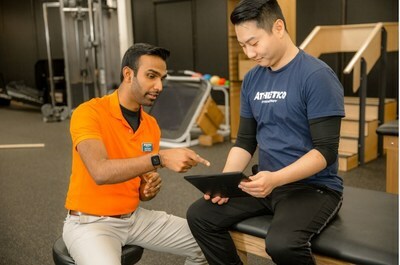 NEW BERLIN, Wis., Dec. 5, 2018 /PRNewswire/ -- Athletico Physical Therapy has opened a new location in New Berlin on Wednesday, December 5th at 15175 W. National Ave., New Berlin, WI 53151. Athletico is looking forward to continuing its quality of care throughout the state of Wisconsin. "I'm excited for the opportunity to work with the great doctors in the area to provide their patients with the best care possible," said Nikolai Miskov, PT, DPT, CMPT and Clinic Manager of Athletico New Berlin. "I'm also looking forward to building a reputation for myself in an area where I want to practice long term."